I came across Ingrid Wagner at the Stitch & Creative Crafts show in London last year. 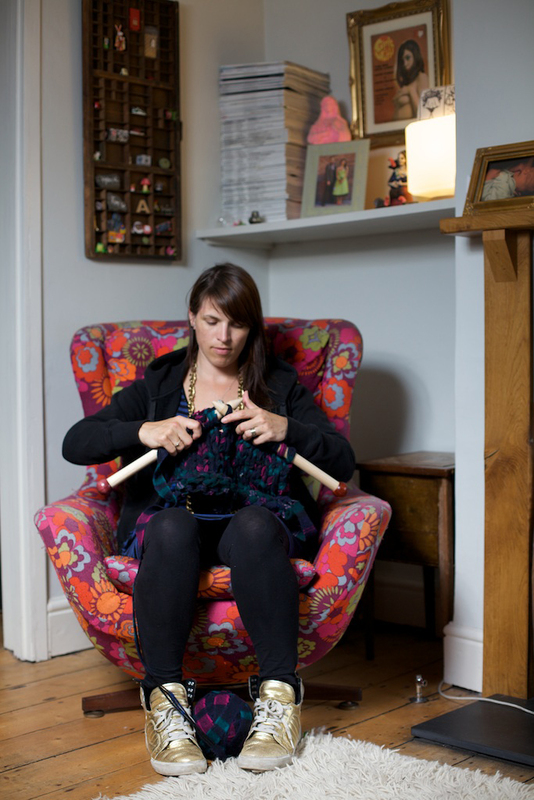 Check her out, she design patterns for knitting projects using yarn made out of blanket strips – nice. b) gone and got myself pregnant again. The correct answer is in fact, c) both of the above. I’m going to be honest here – the slippers aren’t actually that great. The kit that I bought had suede soles included, but they don’t provide any particular warmth or protection. Also, they do tend to slouch down quite a bit around the tops. They kind of remind me of those slippers that people used to have in the 90’s when loads of people ended up in A&E because they had tripped down the stairs whilst wearing huge shaggy monster feet. 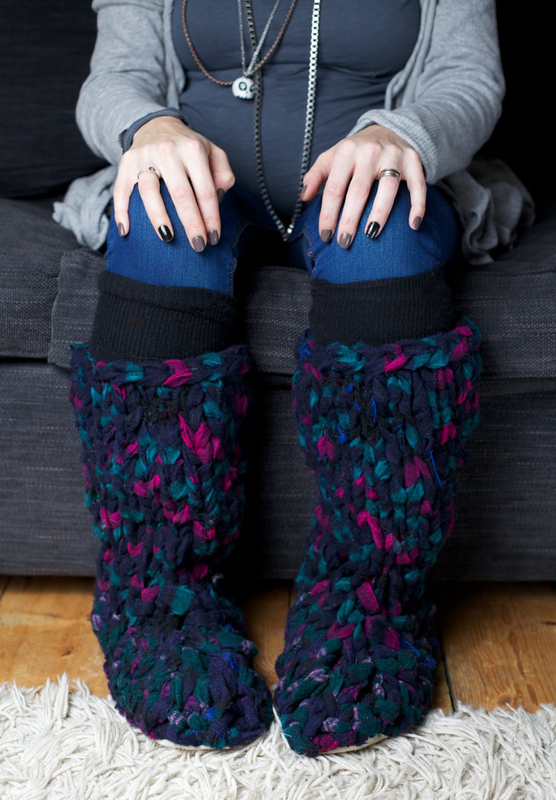 I wouldn’t necessarily recommend the slippers kit, but if you can think of something else ingenious to knit, the yarn itself and the ridiculous needles are pretty cool!